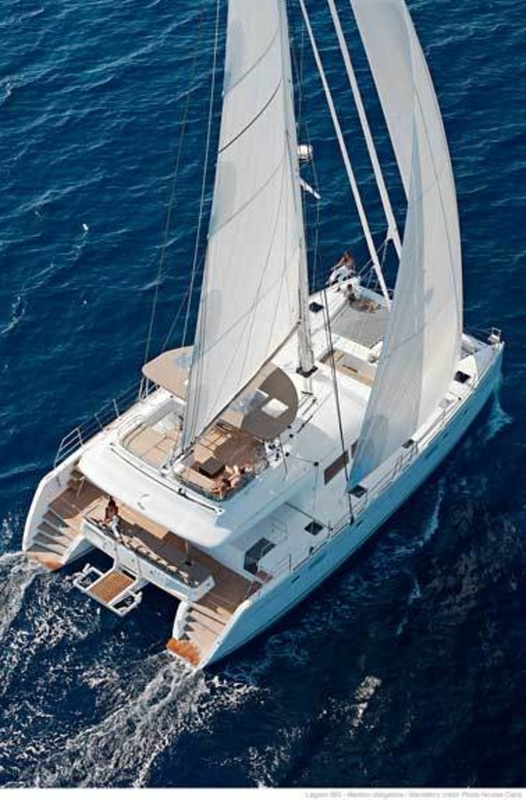 Luxury yacht TRIPLE one is a beautiful catamaran sailing vessel built by Lagoon and launched in 2019. Accommodation on board is offered for up to ten guests in five modern cabins, all with private ensuite bathroom facilities. There is a crew of three on board. TRIPLE ONE’s spacious saloon offers a nice and spacious saloon with a sofa and a dining area. The adjacent galley is modern, fitted with all amenities needed for your Chef to create delicious culinary dishes to enhance your vacation on board. The exteriors offers yet another alfresco dining possibility and seating area, as well as sunbathing areas to enjoy. Aft stairs offer easy access to the water. 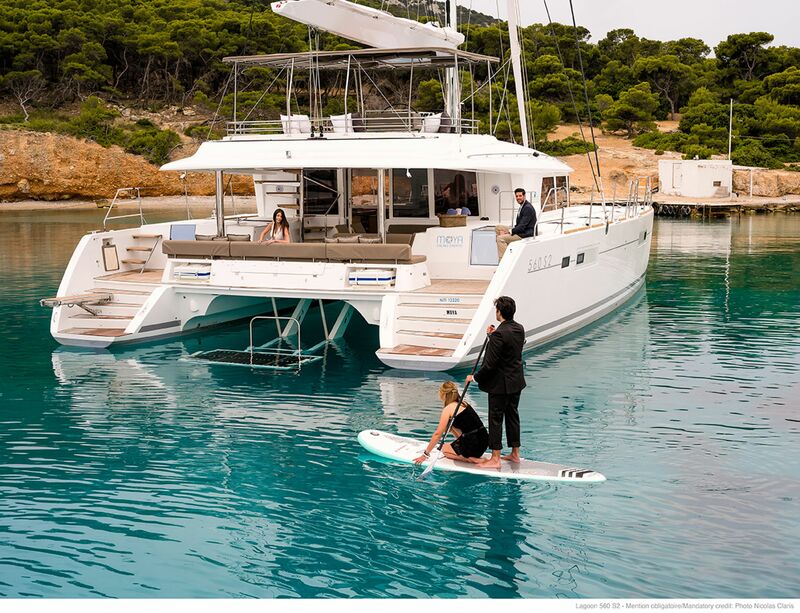 TRIPLE ONE is powered by two 110hp engines and reaches a top speed of 12 knots, while her cruising speed is 10 knots. Fuel consumption is 25 litres per hour. Accommodation spread over four queen-sized bed cabins and one cabin with bunk beds. All cabins offer private bathroom facilities.